Mark, a founder of Mako Gold, is a Chartered Professional (CP) geologist with over 40 years’ experience in economic geology, exploration, mining, project development and in corporate management roles as chairman and managing director for a number of ASX-listed resource companies. Mark has extensive experience in managing companies and exploration/mining operations in a wide range of commodities including gold. His management experience includes founding IPOs from commencement of project acquisition, exploration to production, capital raising and negotiating joint ventures. 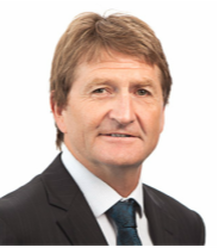 Dr Elliott is a Non-Executive Director of ASX listed Western Australian Archean gold explorers Nexus Minerals Limited and Aruma Resources Limited. Peter, a founder of Mako Gold, is a qualified geologist with over 30 years’ experience in the exploration and mining industry. His career has focussed primarily on gold exploration along with some base metals exploration. Peter has worked extensively in Canada, Africa and Australia, in a variety of roles in exploration, development and mining projects. Most recently he spent six years working for ASX-listed Orbis Gold in progressing senior management roles whereby he secured all of Orbis’ permits in Burkina Faso and Côte d’Ivoire. Peter played a critical role in the discovery of the Nabanga gold deposit in Burkina Faso and thereafter contributed geological ideas which helped achieve success for the company including the discovery of the Natougou gold deposit, currently being developed by TSX-listed Semafo. Peter is fluently bilingual in French and has established and maintained good professional contacts in Burkina Faso and Cote d’Ivoire in government as well as the private sector. Michele is a Partner specialising in corporate law with HopgoodGanim Lawyers. He is an admitted Solicitor and has a practice focusing almost exclusively on mergers and acquisitions, and capital raising. In his role with HopgoodGanim Lawyers, Michele has acted on a variety of corporate transactions including initial public offerings, takeovers and other acquisitions. Michele’s experience brings to the Board expertise on corporate regulation, governance and compliance matters. Michele was previously a director of ASX-Listed Orbis Gold Limited until its takeover by TSX-Listed Semafo, and is a non-executive director of ASX-Listed Aeris Resources Limited and Cardinal Resources Limited. Paul holds a Bachelor of Law degree, a post Graduate Diploma in Accounting and is a Chartered Accountant. He has more than thirty years’ experience initially with Ernst & Young and subsequently twenty years spent in commercial roles as Company Secretary and CFO for a number of listed and unlisted companies mainly in the resources sector. Paul has extensive experience in all aspects of company financial reporting, corporate regulatory and governance areas, business acquisition and disposal due diligence, capital raising and company listings and company secretarial responsibilities. Ann, a founder of Mako Gold, is a qualified geologist with over 25 years' experience in mineral exploration. She has worked in various commodities but has focused primarily on gold and base metals projects for both junior and major companies in Canada, Africa and Australia. Ann ran her own consultancy for a number of years, based in Yukon, Canada providing technical expertise to a diverse group of junior exploration companies. She also previously worked as a mining inspector for the Canadian government, giving her insight into internationally approved codes and regulations for mining and water use. Ann most recently held the position of General Manager Exploration with Orbis Gold in Burkina Faso until their recent takeover by Semafo. During her time with Orbis she led the project team responsible for Orbis' Natougou discovery and advanced the Nabanga and Natougou projects to the resource estimation stage. Ann also oversaw the Scoping Study initially completed for the Natougou deposit. Ibrahim, a founder of Mako Gold, has over 20 years' experience in the mineral exploration industry in Burkina Faso. Ibrahim has worked for numerous junior and major companies, on gold exploration and development projects within Burkina Faso in a variety of technical and logistical roles. He has had experience with all aspects of exploration including permit acquisition, drilling, geochemistry, geophysics and logistics. Most recently Ibrahim held the position of Logistics Manager for Orbis Gold. He was responsible for the construction and maintenance of camps as well as liaising with geologists to ensure the seamless operation of all projects. He was actively involved in business development and was responsible for liaising with local permit vendors. He was integral in the acquisition of new exploration permits and in maintaining good relationships with the vendors. Ibrahim’s leadership skills allowed him to multi-task with employees and contractors. Ibrahim has excellent contacts with the Burkina government officials as well as the private sector. Jamie is a geologist with over 20 years’ multi-commodity experience in North America and Africa. He has a strong background in greenfields to advanced gold and base metal exploration. His excellent mentoring skills with young geologists has proven an asset in building quality exploration teams. Jamie was an integral part of the Orbis Gold exploration team in Burkina Faso until the takeover by Semafo. During his time with Orbis he led the discovery of multiple new gold mineralised structures at various prospects and advanced understanding of the prospect areas through systematic mapping, interpretation of geophysical and satellite data, and execution of RC and diamond drilling programs.